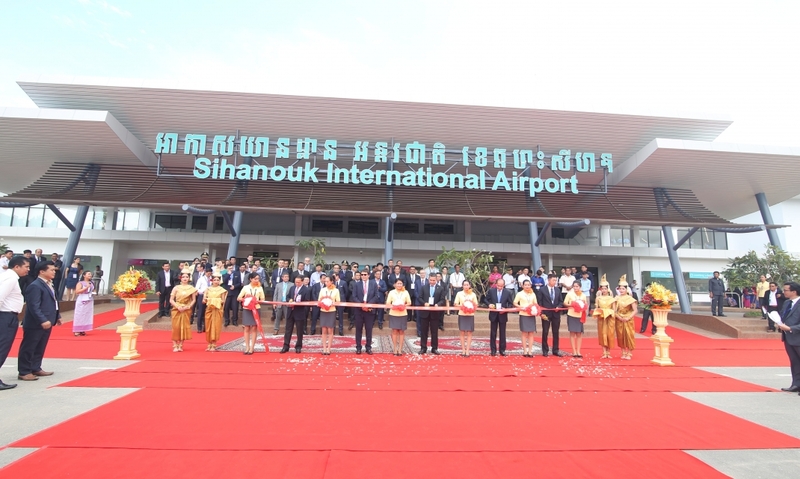 With a sharp increase in passengers figure at Sihanoukville Airport, Cambodia’s third international gateway after Phnom Penh and Siem Reap, there was an urgent need to modernize and expand the terminal. In a year time, the number of visitors has doubled from 175,000 to 338,000. Anticipating further passenger growth, as more flights connect China and the ASEAN countries with the resort town, Cambodia Airports embarked on an expansion program. “We are taking a new step in our journey to develop Sihanoukville’s airport so that it contributes to unlocking the economic, touristic and social growth potential of the Kingdom’s entire seaside,” highlighted at the launching ceremony Nicolas Notebaert, CEO of VINCI Concessions and President of VINCI Airports. VINCI is a French airports consortium which owns a concession at Cambodian three main airports until 2040 by owning 70% of the shares. Attending the event were the Secretary of State in charge of Civil Aviation, the Under Secretary of State for Tourism, the Governor of Preah Sihanouk Province, along with Nicolas Notebaert. Sihanoukville is now linked to 11 cities, 2 domestic and 9 international. Most of the international flights are bound to China with 7 destinations, plus Ho Chi Minh in Vietnam and Kuala Lumpur in Malaysia. Meanwhile, five to six airlines fight for the market share on domestic routes to Phnom Penh and Siem Reap. The extension and renovation of the terminal is part of an ambitious development program to anticipate the growth of passenger traffic over the next five years. The new terminal offers 80% more space than the previous facilities with a total surface of 4,800 m2. More check-in areas, boarding lounges and baggage claim zones are available, in addition to a new baggage handling system. There is also a coffee shop and a bakery/snack counter. A shop, an ATM and money changer are also available. Cambodia Airports also mentioned an on-going project to extend Sihanoukville’s single runway. After its completion, the 3,500 metres runway will be able to accommodate large aircraft from all over Asia and other continents. The extension and renovation of the terminal is part of a $150-million development program scheduled to be rolled out in anticipation of traffic growth in the coming 5 years. 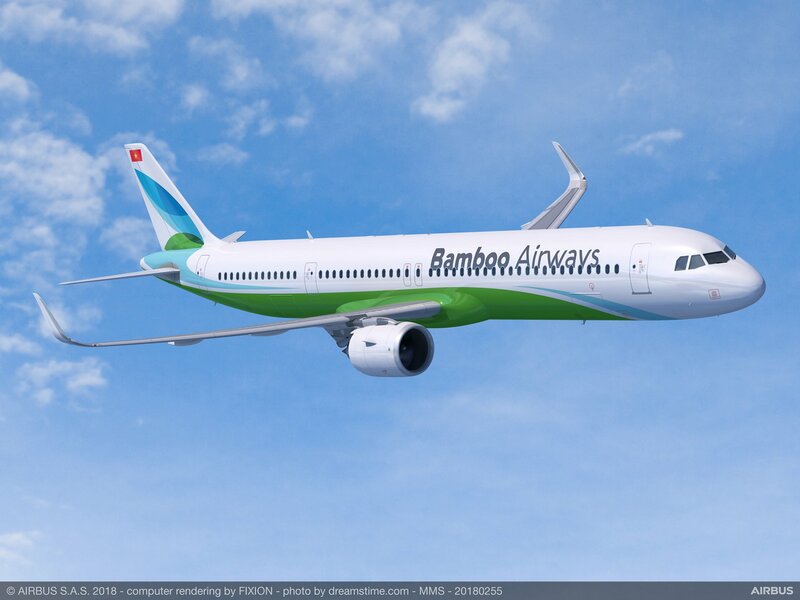 Baolau lists international and domestic flights in Cambodia connecting Sihanoukville with two destinations in the Kingdom, Phnom Penh, and Siem Reap, with Ho Chi Minh in Vietnam and Kuala Lumpur in Malaysia, and further to China with Macau, Shenzhen.